NOTE: Date must be in the form YYYY-MM-DD, like 2019-02-10. Funeral services are 12noonCT/1pmET Monday, February 11, 2019 at McKinney-Brown Funeral Home with Brother Hershel Lawhorn officiating. Burial will follow in South Fork Cemetery. Visitation will be held from 11-1pmET Monday at the funeral home. 2019-02-10 - Photo from the family. It has been consistent that if Patricia Harper, RN, area director of the Elder Abuse Council, says something will be helpful, you can take it to the bank. She welcomed those in attendance at the Elder Abuse Council meeting in Russell Springs recently, and said, "After many years in the health care industry here, I still may not know much, but I know a lot of people who know a lot, and our guest speaker Lori Farris is an expert on scams and how our elderly are getting tricked." Lori Farris, the Outreach Coordinator in the Kentucky Attorney General's Office of Senior Protection, turned out to be a scam artist's worst nightmare. CAMPBELLSVILLE, Ky. - Dr. Billy Compton, pastor of Muldraugh Hill Baptist Church and a graduate of Campbellsville College, will be the chapel speaker at Campbellsville University at 9amCT/10amET Wednesday, Feb. 13 in Ransdell Chapel, 401 N. Hoskins Ave., Campbellsville. Judge Rollin T. Hurt, native of Adair County, attorney, businessman, judge, and historian, wrote a series of articles for the Adair County News early in the last century on the early history and people of the county. Several articles dealt with the Harpe Brothers. Several years ago these articles were edited and published as Hurt's History of Adair County, containing the following in the words of Judge Hurt, with footnotes by the editor. The Rev. Jacob Young, an itinerant Methodist preacher, relates that in the year 1802, he approached a cabin in Russell County, which seemed to be pretty well filled with women and children. He took a position opposite to the door of the cabin, sang a hymn, read a chapter of the Holy Scriptures, prayed, and then delivered a sermon. Among his audience was a very remarkable appearing man, who stood and intently gazed upon the preacher. Portsmouth, OH - Five Lindsey Wilson men's basketball players posted double digits in an 87-63 win at Shawnee State (OH) on Saturday at the Waller Gymnasium. Lindsey Wilson returns to action at 8pmCT on Thursday, Feb. 14, as the Blue Raiders host Cumberland (TN) at Biggers Sports Center, 360 Spickard Drive, Columbia, KY.
--Robert Stone, Sunday, 10 February 2019. Stamps increased by five cents each as new year began. The U.S. Postal Service proposed the changes last October and were approved. The increase from 50 cents to 55 cents is the largest increase in stamp costs since 1991. She was of Church of the Nazarene faith, a member of Burkesville Church of the Nazarene, attended Bible Independent Baptist Church, and was a homemaker. She was married to Earl "Doley" Muse who survives. 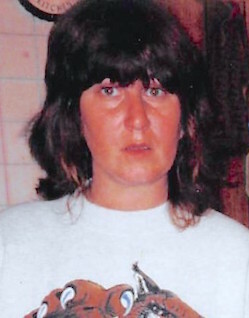 Rosa Ann (Gilbert) Muse of Burkesville, KY passed away Friday, February 8, 2019 at the Cumberland Valley Manor having attained the age of 55 years, 9 months, and 25 days. The Funeral Service will be conducted on Monday, February 11, 2019 at 1pmCT in the Memory Chapel of Norris-New Funeral Home in Burkesville. Burial will be in the Vincent Cemetery in Cumberland County, KY. The family will receive friends after 6pmCT on Saturday, February 9, 2019 until the funeral hour on Monday. The 2019 Farmers Market on the Square season will soon be upon us!!! We look forward to another great season, so the board of directors would like to invite you to attend the first meeting of 2019. We are planning a meeting on Thursday, February 21, 2019, at 5pmCT, at the Adair County Extension Office, 409 Fairground St., Columbia, KY.
We encourage anyone that is interested in becoming a vendor with the market to attend this meeting, as well as returning vendors. There are classes and training that vendors must complete before the market opens in April. Anyone with questions about the market or becoming a vendor is encouraged to call Donna Jones at (270) 634-2125, Darrell Andrews at (270) 566-3792, or Darrell Burnell (270) 805-1672. The public will have two opportunities to hear music performed on the historic organ in Ransdell Chapel, 401 N. Hoskins Avenue, Campbellsville, KY on the campus of Campbellsville University in February, 2019. The events are free and open to all. He will be performing music by William Mathias, Rachel Laurin, William Walton, and Johann Sebastian Bach.